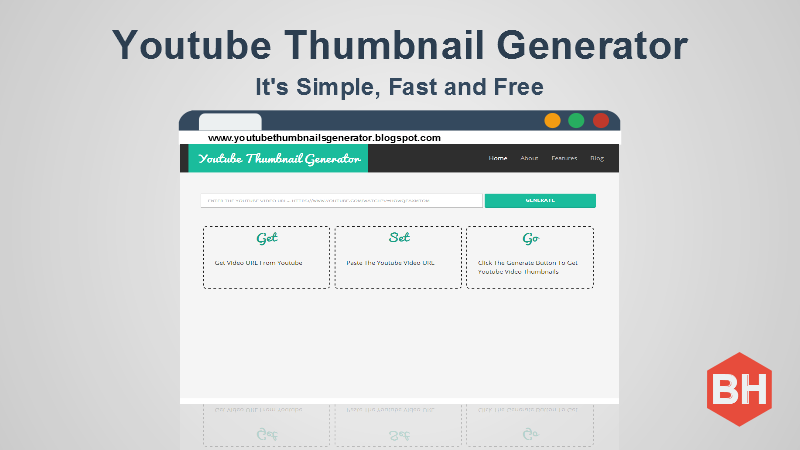 Just provide Youtube Video URL you wish to have video thumbnails (Please check above for the supported types of Youtube Video URL's) in box and click Generate button to display youtube video thumbnails of the video. You can download youtube video thumbnails by just clicking right mouse button and click save image command. If you like this web application then, please share it with others. Don't hesitate to comment. Please feel free to give suggestions and feedback. I am always ready to improve the youtubethumbnailgenerator service. Hey, Just upload the image to your blogger account and use it in the blog post. That's it. You need to make sure your thumbnail and readmore script is working in blogger.